Did you know that autoimmune disease is the THIRD largest category of disease in the United States behind heart disease and cancer? There are more than 80 autoimmune diseases and they affect over 50 million Americans. But what is an autoimmune disease? Imagine that your immune system is an army whose sole purpose is to protect your body from intruders, such as viruses, bacteria, and other outside toxins. What if that army all of the sudden turned it’s guns on you and started attacking your tissues? That is autoimmunity. Your body’s natural ability to fight external threats starts to attack the body’s tissues. This process can cause symptoms such as fatigue, fever, malaise (feeling unwell), joint pain and rash, among others. These symptoms usually wax and wane causing exacerbations of symptoms then going into remission. Autoimmune diseases affect blood vessels, connective tissue, endocrine glands, joints, muscles, red blood cells, and skin. They can also start attacking your organs, such as the liver, intestines or kidneys. The exact cause of autoimmunity is unknown, but it is believed to be a combination of heredity and environment. If a family member has an autoimmune disease, you are 2 to 5 times more likely of developing one. Environmental triggers include certain medications, hormones (such as pregnancy and stress hormones) and chemical irritants. Women are 75% more likely to be affected by autoimmune disorders, especially African-American, Hispanic-American and Native American women. Examples of autoimmune disorders include rheumatoid arthritis, systemic lupus erythematosus, Sjogren’s disease, multiple sclerosis, type I diabetes mellitus, psoriasis and irritable bowel disease (ulcerative colitis and Crohn’s disease), among many, many others. Autoimmune disease is one of the top 10 causes of death of females over 65, the second highest cause of chronic illness and the top cause of morbidity in females in the United States. These diseases are treated by medical doctors using immunosuppressant drugs and corticosteroids, which both have pretty severe side effects when used for extended periods of time. What does this have to do with chiropractic, you ask? 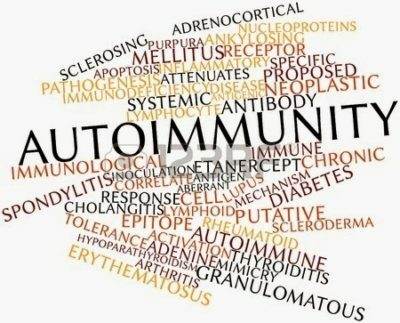 Chiropractic can be a fantastic supportive treatment for those who suffer from autoimmune disorders. The treatment goals for most autoimmune diseases include reduction of symptoms, control the autoimmune response and to maintain the body’s ability to fight disease. Immunity is controlled by the brain stem which is protected and encased by the upper cervical spine. Chiropractic adjustments relieve the pressure on the nervous system caused by misalignments in the spine. Every cell, organ, and tissue in your body is controlled by the nervous system, so relieving the pressure on the nervous system promotes better health and function of those cells, organs and tissues. In short, chiropractic adjustments allow your body to function at it’s fullest potential. Chiropractic patients with autoimmune diseases often relate improvement in symptoms such as fatigue, joint pain and muscle aches. With dietary alterations and consistent chiropractic adjustments, patients have noticed a marked decrease in inflammation caused by autoimmunity.